PREVENTING EMPLOYEE BURNOUT! — HR TALK! On this episode of HR Talk! 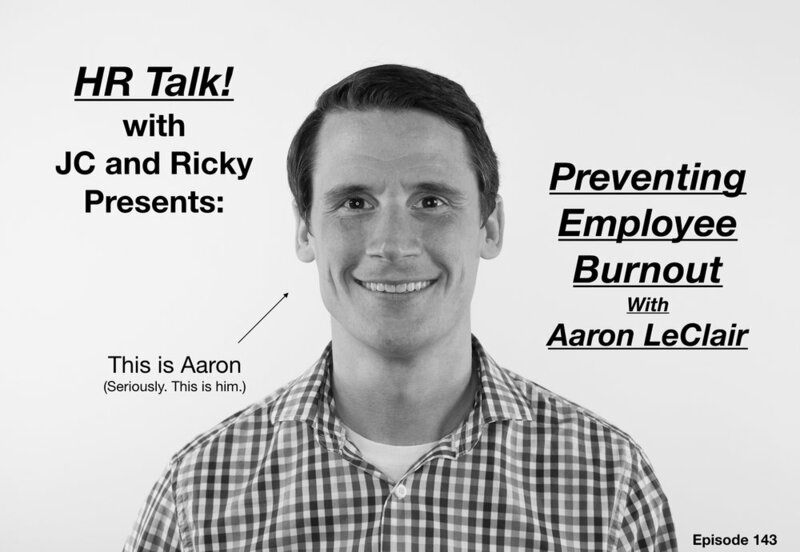 JC and Ricky speak with “employee burnout prevention” guru, Aaron LeClair. Aaron is the Co-Founder of Taab (Travel as a Benefit) a company focused on providing a unique travel benefit program for employers to offer their employees. Taab helps employees enjoy their paid time off so they can get away, refresh, recharge, and come back a more productive employee. With Taab, Aaron is working to change the way we view employee wellness and workplace culture through the power of meaningful personal travel. That’s right. Aaron wants you to take your vacation time to the next level! Want to know more? Go to www.taabcard.com for details.